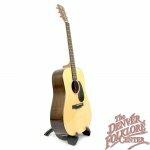 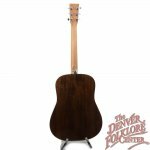 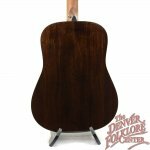 The back and sides of this Martin DRSG Guitar are made of solid Siris - a hardwood that grows on large shrub like trees throughout the world's tropical and subtropical regions. 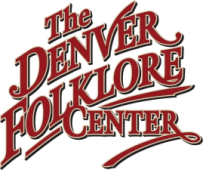 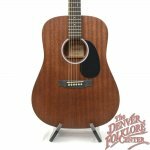 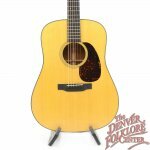 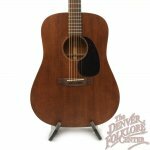 Tonally the Siris is a mix of Rosewood and Koa which when paired with the solid Sitka Spruce top creates a dynamic and traditional sounding Martin dreadnought guitar. 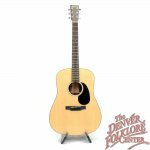 A full gloss body finish, hand finished neck, Fishman pickup, and hardshell case are all added to the DRSG's solid wood construction making for a fully featured instrument package.